50 DB floor 2 OH 15/20 ea. Post time from 1st round to comments. Post RPE from second round to comments. This workout has dual personalities. It is likely to cause your mood to swing. Yes, it means you have to go through it twice! It's really 2 different workouts. One is for time; gonna make those lungs burn. The other will make your muscles burn. How to do strict DB F2OH? Weights must be deadlifted and pressed. What Can I Do About Sore Muscles? 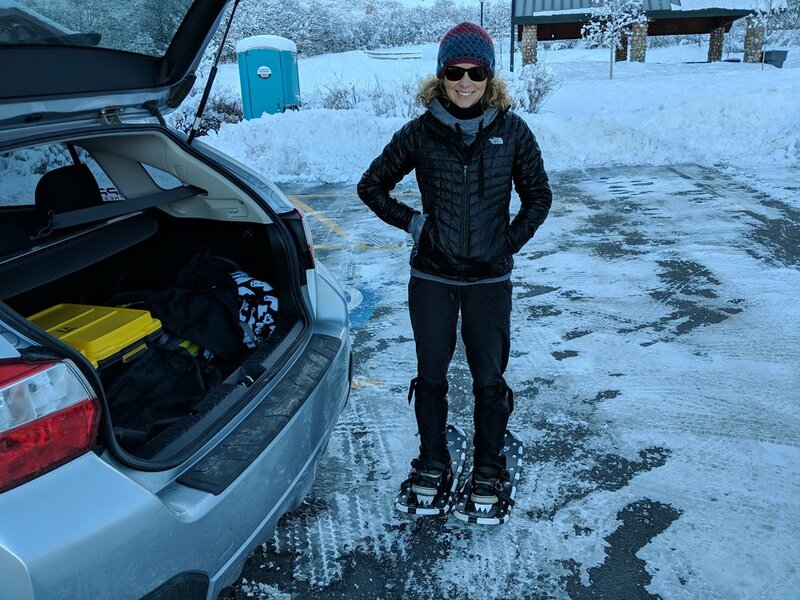 First time donning snowshoes 2019!